Over the past few weeks we’ve provided all the information you need to consider when becoming a landlord. Part 1 — Should You Rent Out or Sell Your Home? Part 2 — Decided to Rent Out Your Home – Now What? Part 3 — Should You Hire a Property Management Company? 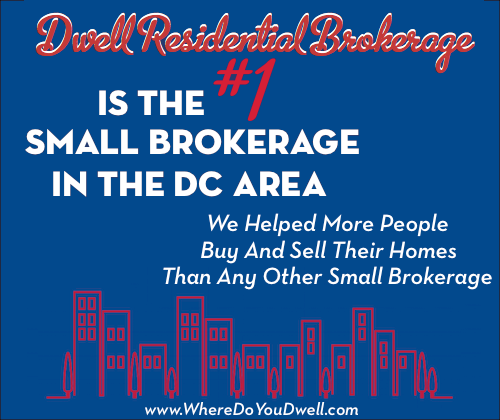 Part 4 of the series is a bonus for our DC landlords because being a landlord in DC requires a few more steps before you have a tenant and also when you go to sell your property. It’s important to fully understand landlord-tenant laws in the District. DC is one of the most tenant-friendly jurisdictions in the country, so there are a lot of hoops landlords have to jump through to make sure the laws and rights of the tenants are being followed. These laws are there to protect tenants from unsafe housing and scrupulous landlords (not you!). But you need to protect yourself so you don’t break the law or face any penalties. When it comes to being a landlord in DC, you have several legal requirements and additional paperwork that need to be completed before you can even rent out your home – whether it’s a house, townhome, condo unit, basement apartment or even a single room. Also, when it comes time to sell, you can’t just sell your property without offering it first to your renters. Yep, you read that right. Remember to consult with an attorney or a reputable property management company for details on current housing regulations and procedures, but below is our bonus guide to get you DC landlords educated on what needs to happen when. The first steps to becoming a landlord require lots of paperwork and several small fees to the District government. Obtain a Basic Business License (BBL) for one-family rental. You’ll need one of these and can apply at DC’s Department of Consumer and Regulatory Affairs (DCRA). Once you’ve paid the fee and your application is approved, the license lasts for two years. You’ll also have to register your business with the Office of Tax & Revenue. Register as a rent-controlled property or ask for an exemption. You will need to register your rental unit at the Department of Housing and Community Development’s Rental Accommodations Division (RAD). You can file a claim of exemption from rent control, especially if you’re not a “big-time” landlord. You will need an exemption number so that you will be allowed to raise rent. Submit a Certificate of Occupancy to DCRA. Not all properties need this certificate. Submit a “Clean Hands Certification.” Did you pay all your parking tickets? Now’s the time! This form indicates that you don’t owe the DC government more than $100 for anything. Non-residents need to appoint a Resident Agent or an Attorney-in-Fact and fill out the appropriate form. This person will be the official recipient of any financial or legal notices from the District. Get your home inspected within 45 days of receiving your Basic Business License. Your home will need to meet DC Housing Codes for the health and safety of your tenants. You can view Housing Codes at the DC Municipal Regulations, Title 14. Your rental property must adhere to codes that deal with heating, lighting, ventilation, utilities, occupancy space, cleanliness, sanitation, pest control, fire prevention, etc. Let the Office of Tax and Revenue know you no longer live in the property. Remember that lovely homestead deduction? Well, when you move out, that goes away and your property taxes increase. It’s illegal to discriminate against families with children, so you can’t put your own cap on the number of occupants. The legal number allowed is two occupants per bedroom plus one more. So a two-bedroom condo could have up to five occupants. This law is meant to protect families but it also means that that same place could have up to five 20-somethings splitting rent. A landlord can’t discriminate against someone who does not have a source of income to pay the rent, as long as someone else can cover the monthly payments (meant to protect those in Section 8 housing). If a renter’s parent or family member will co-sign the lease, you can’t turn them away even though they don’t have a job. Once you’ve selected a tenant, you need to follow several guidelines to adhere to the law. These responsibilities go from the day the lease is signed till up to the last day they live there. Remember you can contact the Housing Service Center at the Department of Housing and Community Development for more complete information. Rental Regulations. Give the tenant a copy of DC Municipal Regulations, CDCR Title 14, Housing, at the start of the tenancy. This is a must! Security Deposit. Charge only one month’s rent for a security deposit and hold these funds in an interest bearing account in a DC financial institution. Once a lease has ended, you have 45 days to either return the deposit or notify the tenant in writing that you’re withholding it to pay for damage or money owed. Fire Safety. Provide a written notice or checklist disclosing fire safety and protection information, such as smoke detector, sprinkler system, fire alarm, smoking policy, emergency evacuation routes. Indoor Mold. Provide information on the health hazards associated with the exposure of indoor mold. Get this information from the Department of Health’s website. Housing Code Violations. Continue to maintain housing code requirements. Tenants can file for violations, such as no heat in winter or faulty plumbing. Make timely repairs and maintain the property. Raising Rent. Give at least 30 days written notice if you will be raising the rent. How often and how much depends on whether it’s a rent controlled property. Lease Renewal. A lease automatically goes month-to-month once the initial lease period ends even if you don’t agree to renew the lease. You need a legal reason – nonpayment of rent — to evict a tenant when the lease ends. Disclose. You are required to make any necessary disclosures. For example, if your home was built before 1978 (even if it was renovated after that), then you need to disclose the possibility of lead-based paint to your tenant. You hope it doesn’t come to eviction, but it can happen so know the steps you need to take to legally evict a tenant. It’s important to have legal help from an attorney when you reach this point. Prove to the Court at least one legal reason — nonpayment of rent; violation of lease agreement (pets aren’t allowed); damage to property, or you want to demolish the property or renovate, or want to use the home for immediate personal use. You can’t evict if you just don’t like them! Use the Landlord Tenant Resource Center at the DC Superior Court for more information. It’s illegal to remove any of the tenant’s belongings, to change the locks, turn off heat or water or force a tenant out on your own. Send legal notice to the tenant to vacate the property, which is sometimes called “Notice to Quit.” You usually need to give them a 30-day notice, unless they are using your property as a drug haven or haven’t paid rent. Check the language in your lease to see if the tenant has given up this right to receive notice for nonpayment. File a lawsuit against your tenant to receive a “judgment for possession” to evict them. You can’t force a tenant out and must file a lawsuit. Coordinate the eviction through the U.S. Marshals Service once you receive your judgment for possession and are authorized to evict. They must be present during the eviction. Before you can sell your property, you must first provide the current tenant with the opportunity to purchase it. This is where things can get complicated. Under the Tenant Opportunity to Purchase Act (TOPA), you must send by first class mail a written offer of sale to each tenant with the asking price and other terms. You also must send a copy of this letter to the District government. The tenant then has a certain time period to express interest in buying the property and also provide an approval letter. They can also match any offer you receive on the property from another buyer. If you are selling a home that has a tenant in the property, please make sure to work with an attorney or a real estate agent that is well versed in how to do so. It’s a very complicated process with very strict rules and deadlines. Not only that, but you then need to show the title company that you did everything correctly before they can allow the change in ownership to occur! As you can see, there is a lot to know when becoming a landlord in the District. But if you’re prepared and organized, it can be a good investment down the road. The states of Virginia and Maryland have their own set of laws and regulations. You can check with their housing authorities for details, but nothing like in DC, so we wanted to address this jurisdiction especially. We hope you learned a lot from our How to Be a Landlord series!